"2019" Non-Anesthetic Dental Dates- Wednesday-January 30th, Wednesday-February 27th, Wednesday-March 27th, Wednesday-April 24th, Wednesday-May 29th, Wednesday-June 26th, Wednesday-July 31st, Wednesday-August 28th, Wednesday-September 25th, Wednesday-October 30th and Wednesday-December 4th. The care of your pets teeth is very important. We recommend that you have your pet(s) teeth cleaned every 6 months to a year and do at home dental care in between. The plaque that builds up on their teeth contains bacteria that can infect the gum tissue and the roots of the teeth resulting in gum disease and tooth loss. In addition, those bad bacteria can enter the blood stream through large blood vessels located near the gums and teeth. At this stage the organs with the highest blood flow are most susceptible to infections: lungs, heart, kidneys, liver, and even the brain. Damage to these organs caused by infection can shorten the lives of your pet(s). Call and schedule an appointment to have your pet(s) teeth cleaned today and give your pet(s) a healthy, bright smile today! Pet Friendly Dental Care in an outside company that works with us once a month. 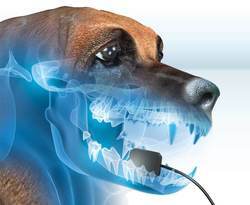 They offer qualified dogs and cats a full dental cleaning without the use of anesthesia. We ask that you schedule the appointment at least (1) week prior to the date of the dental cleaning and that you make a nonrefundable $25 deposit to hold your place. On the day of the dental cleaning we ask that you DO NOT feed your pet(s) that morning and you will check-in your pet(s) between 8:00-9:00 am. ALL pets must be up to date on Rabies and Bordetella. Dentals are done one at a time in no special order. If your pet becomes too stressed and is unable to be finished, they will ask that you come back next month to have your pets dental finished at no charge to you. If they notice a problem in your pets mouth and they are unable do the dental cleaning you will be called and offered a anesthetic dental at the same price (not including the price of extractions, pre-anesthetic blood work, injections, or medication to go home). When your pet(s) is finished with its non-anesthetic dental you will be called to pick up your pet(s) and all recommendations will be gone over at that time.